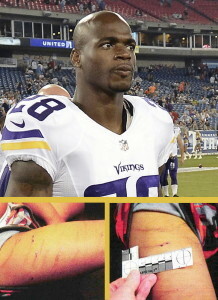 Violence on and off the field hurting players and their families. After decades of soaring popularity and profits, professional football is at a moral crossroads. For decades, the NFL’s entire business model has been predicated on presenting an athletic spectacle so thrilling that fans were willing to ignore the dark side of the game — its extreme and inherent violence, its antiquated gender roles and its nihilistic greed, which places profits above all else, even the health of its players. But the past few days have provided more evidence of football’s heinous underbelly than fans can ignore. 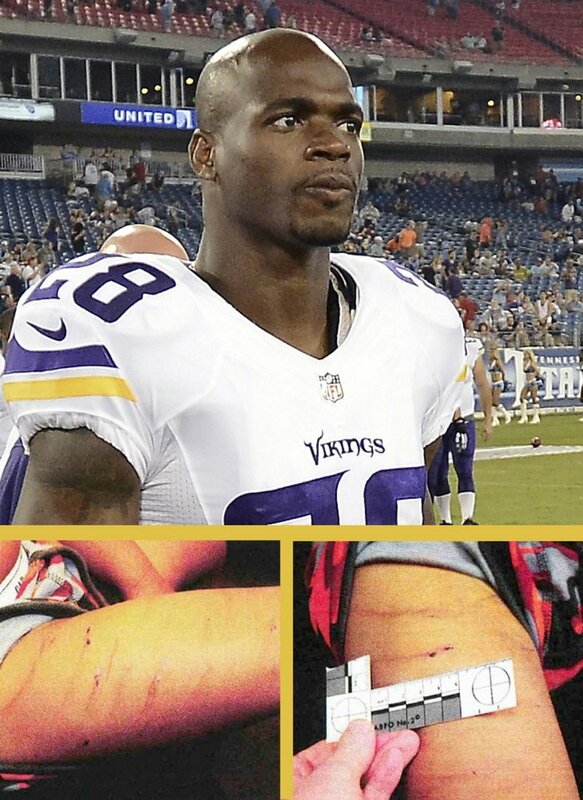 Photos by AP and Houston Police Department Minnesota Vikings running back Adrian Peterson has been indicted on charges of felony child abuse because of wounds he inflicted on his 4-year-old son with a tree switch. With the NFL already reeling from the Ray Rice scandal, news spread Friday that Vikings running back Adrian Peterson had been indicted on a charge of felony child abuse for allegedly beating his 4-year-old son with a tree branch. A few hours later, an even bigger bombshell: The NFL admitted in federal court documents that nearly one-third of retired players will develop long-term cognitive problems and at “notably younger ages” than the rest of the population. A day that began with media wags asking whether Commissioner Roger Goodell would survive his mishandling of the Rice imbroglio ended with stark questions about how the league itself would survive. At this point in any other season, our focus would be on the games. Instead, media members and fans are discussing football not as a form of escapist entertainment but as a troubled moral undertaking. Major cracks are starting to form in the foundation of the NFL empire. We are witnessing a long-overdue reckoning. Various corruptions of the NFL forced me to turn off the games forever, after 40 years as a devoted fan, and compelled me to write a book about my change of heart, “Against Football.” Now I am hearing from fans every day who are questioning their loyalty to the game, or who have abandoned it altogether. Even a few sports reporters and columnists are following suit. We’re witnessing a cultural sea change. Hard-core fans will surely cry foul. The conventional wisdom is that football is too big to fail, too deeply entrenched in our national culture. There’s truth to that — the league’s revenue approached $10 billion last year, and sponsors have been sitting tight. But, ultimately, the flow of that revenue depends on fan loyalty. While the league has done a remarkable job of growing its fan base over the past decade, particularly among women, many of these fans are relatively casual and new to football. It may not take much for them to turn away from the game. Even jock pundits who serve as de facto promoters of the NFL have been unable to ignore the ill omens. And political leaders are entering the fray, too. Last week, Sen. Richard Blumenthal, D-Conn., suggested that lawmakers might revisit the “broad anti-trust exemptions granted (to the league) by Congress, and hundreds of millions of dollars in taxpayer benefit.” Thanks to deals cut with Congress in the 1960s, the NFL enjoys tax-exempt status as a “business league” and operates as a legal monopoly. Just as worrying is the fact that major sponsors such as Marriott and FedEx have felt impelled to announce that they are monitoring the league’s conduct in the Rice matter. The disturbing details emerging about Peterson’s savage punishment of his son will no doubt induce further jitters in corporate boardrooms across the country. Having your brand associated with alleged wife and child beaters isn’t good business. And the prevalence of cognitive damage to former players is potentially a much more damaging story. In what other workplace would it be acceptable for 30 percent (or even 10 percent) of all employees to suffer permanent brain damage? It’s worth bearing in mind a little history here. More than a century ago, boxing was among the nation’s most popular sports. Eventually, the masses rejected its overt savagery. The Sweet Science didn’t disappear, but it became a fringe sport. Football itself nearly disappeared in 1905, after 18 young men were killed on the gridiron. Schools banned the game, and editorialists called for its abolition. Instead, at the urging of President Theodore Roosevelt, the game underwent major reforms, which included legalizing the forward pass, a rule change that quickly led to a more wide-open, and therefore less dangerous, game. Given the NFL’s own admission of the horrifying health risks posed to its players, the time has come for President Barack Obama to stop serving as the nation’s fan-in-chief and to initiate a discussion about how to reduce the game’s violence, as well as its perverse and outsize role in our educational system. It’s time for fans to take a stand, too. Given the vast reach and resources of the NFL, and the slavish loyalty of its media enablers, fans tend to forget that they hold the power in this equation. The future of football will be determined not by a mass boycott or a government crackdown but by individual fans who confront the brutal realities of their favorite sport and act as their own consciences recommend. Steve Almond is an author and journalist who writes regularly for The New York Times Magazine and The Boston Globe. 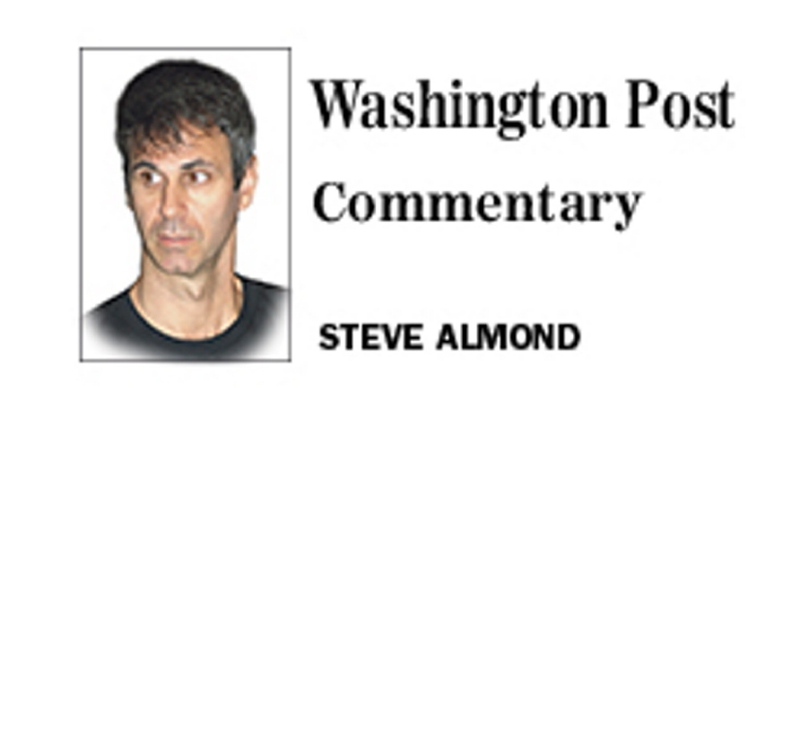 Formerly a sports reporter and football fan, Almond’s most recent book is “Against Football.” This column was distributed by The Washington Post, where it first appeared. Minnesota Vikings running back Adrian Peterson has been indicted on charges of felony child abuse because of wounds he inflicted on his 4-year-old son with a tree switch.